Another Good Day in Ghana! Akuse, Ghana — Today is a another good one in Ghana. 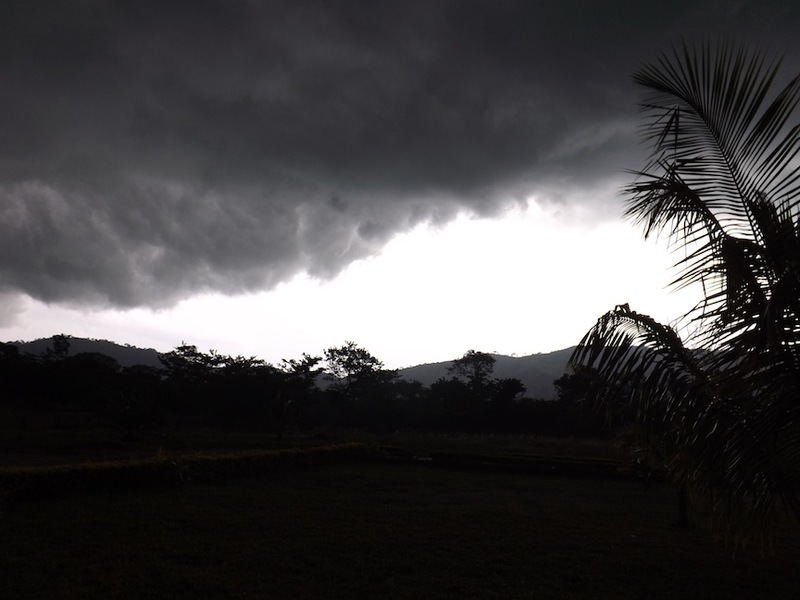 The rains that were lacking in this place during the usual rainy season (May-Aug) showed themselves today! We awoke to a gentle shower but as the morning moved forward the intensity of the rain increased. Jeff’s team traveled an hour to his appointed school ministries down roads that, in place, seemed non-existent. Where the road was paved there were potholes so deep that the vehicle had to stop and inch forward. Where the dirt road began the rains had so washed it out that often they had to engage the 4 wheel drive and then spun and slid to the point of them often thinking there were going to get stuck. With the vehicle fishtailing and sliding sideways the grace of God proved sufficient and they in fact arrived in time to do three separate school assembly programs. The film crusades each night have been encouraging. James McLean and Andy Poe are doing a marvelous job in presenting the Gospel of Jesus Christ to all those in attendance. Night time crowds have been a bit smaller this year averaging only about 400 people but the presence and power of God has been incredible. Please continue to pray for these nightly meetings. Each night we are preaching at approximately 5pm eastern time. I hope you will continue to voice prayers to God at this time each day. Thus far we have seen 3,684 individuals indicate first-time decisions for Christ. Continue to live a life of graciousness before the Father and let others see Jesus in you.